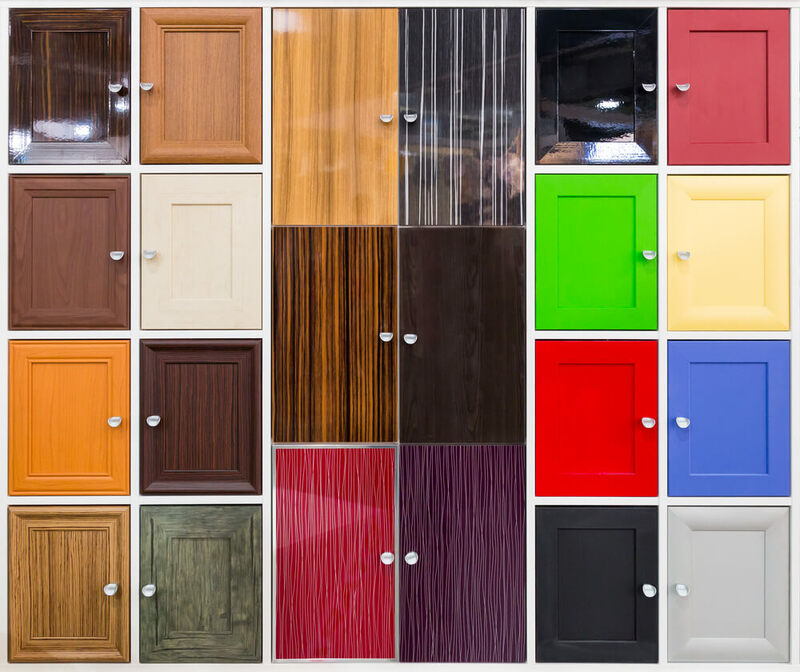 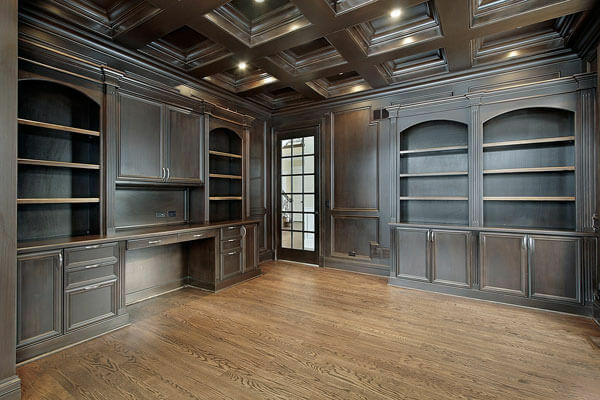 Whether you’re looking for a classic tray ceiling for your office or rustic beams for your hearth room, Records Cabinets and Trim Carpentry can accommodate you. 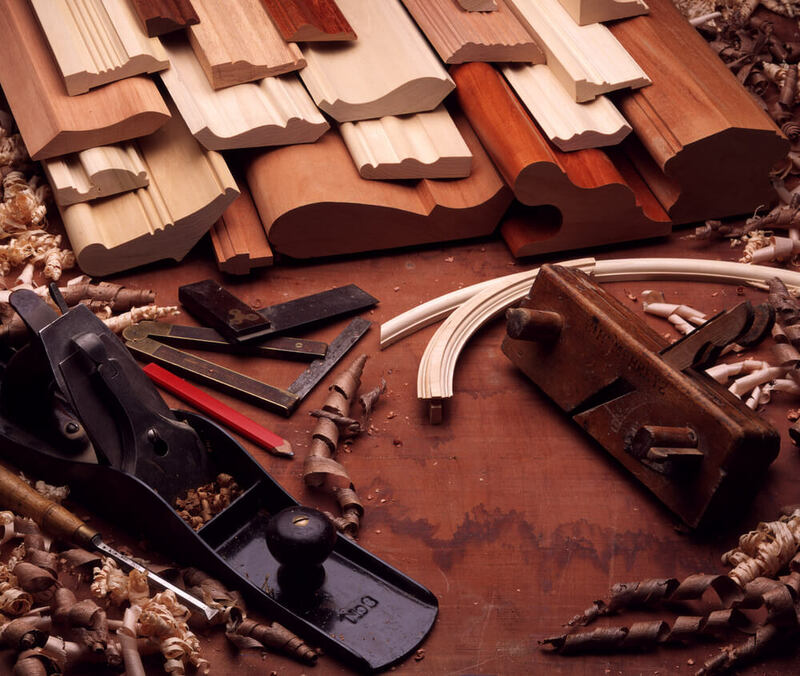 We offer ceiling treatments in a variety of wood species–finished or unfinished. 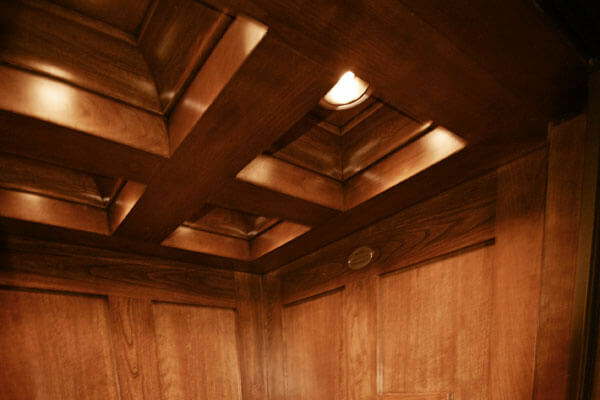 We also offer paneled tongue and groove ceilings, coffered ceilings and even custom flowing ceiling textured panels for a truly one of a kind look! 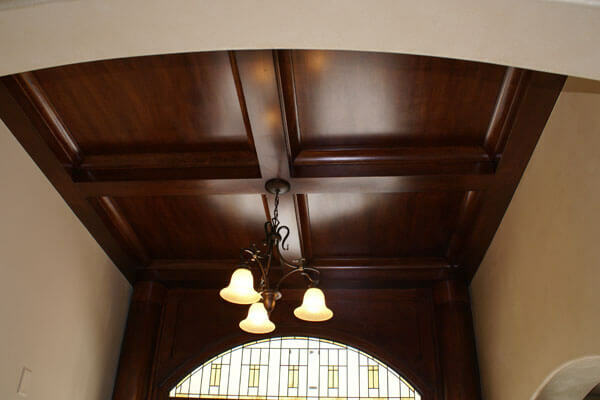 In addition to box beams, we offer hand scraped, distressed and arched beams. Whatever your taste, style and décor, we have the ceiling treatment you’re looking for! 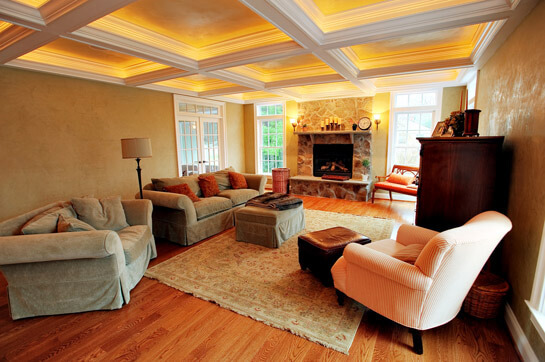 We get lots of calls from people looking to freshen up old rough cedar beams that were installed decades ago. 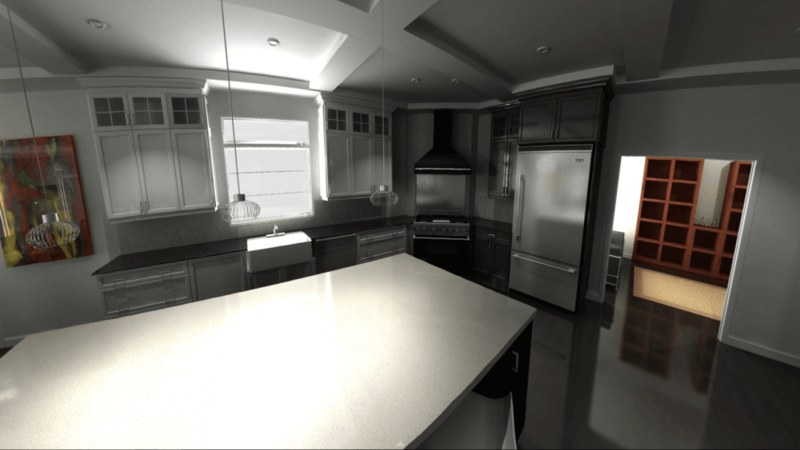 We can skin your existing structural beams and update the look of your space. 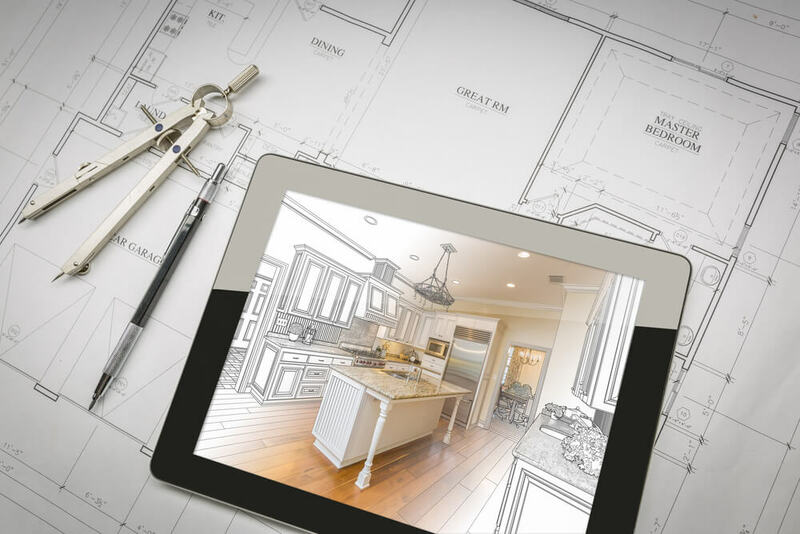 If you are building a new home or desire the very best in quality tray ceilings and beams, call us today at (316)733-6800 or contact us online to speak with one of our project managers.